← New Challenge #11 at Project 52!! No not the ones you eat….I am having a waffle day, going back and forth over several things that I need/want to do and trying to figure out the best path. I hate waffle days. I like to just know what I want and go for it! My first dilemma is this blog….I moved it here from my Blogger one and am finding that I AM NOT HAPPY! Oh, the drama….the import of this escapes me but it feels important right now. I am leaning heavily on switching back. What a mess. The second waffle tidbit is a project that I am working on for Project 52’s next challenge #12. TOP SECRET – CAN NOT DISCLOSE the DETAILS! Let’s just say that it is an awesome challenge and that I had already almost completed it when I decided to go an entirely different direction with it. Now I have 2 new ideas in mind, the clock is tick-tocking and I need to choose and get to work! More on that later I guess. 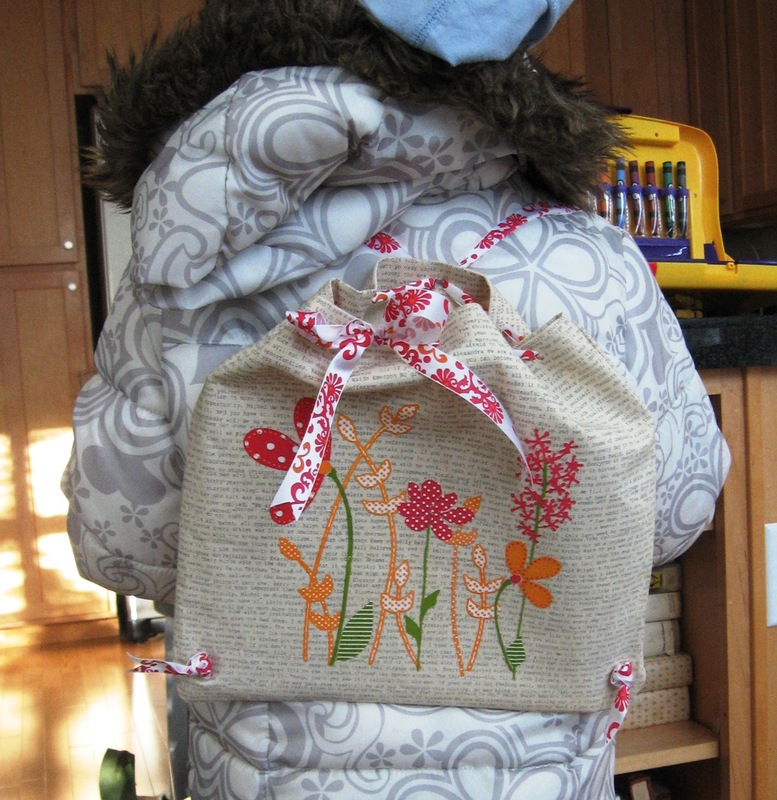 Some un-waffley news is about this adorable backpack I made for Mia last night. I used the Prima 12×12 canvas sheets and some of their new iron-ons. Totally cute and super easy. She will use it to take her things back and forth to her Daisy meetings. She has her first one today…yes it started back in September. Don’t ask me how I missed the sign-ups…I just did, had lots going on back then. Last I knew they didn’t start Girl Scouts until First grade. Apparently, I am out of the loop. Mia on the other hand is ON IT! She learned the entire Daisy Motto last night in preparation for today. On my honor, I will try, to serve God and my country, to help people at all times and to live by the Girl Scout Law. I am so proud of her! We ironed her troop number and the flag onto her uniform last night, pinned on her two GS pins and she was so excited!!! What a fun adventure she is about to start. 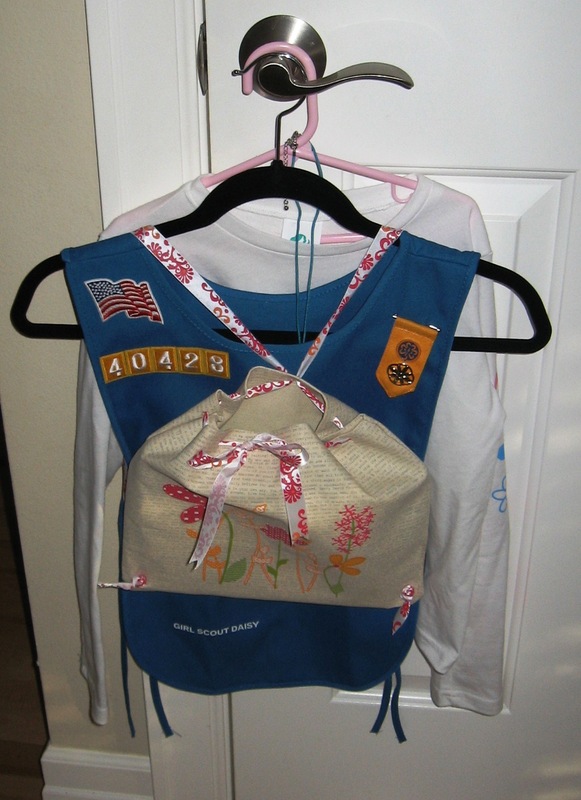 I have the best memories of Girl Scouts. My mom was my troop leader and she did it up right! 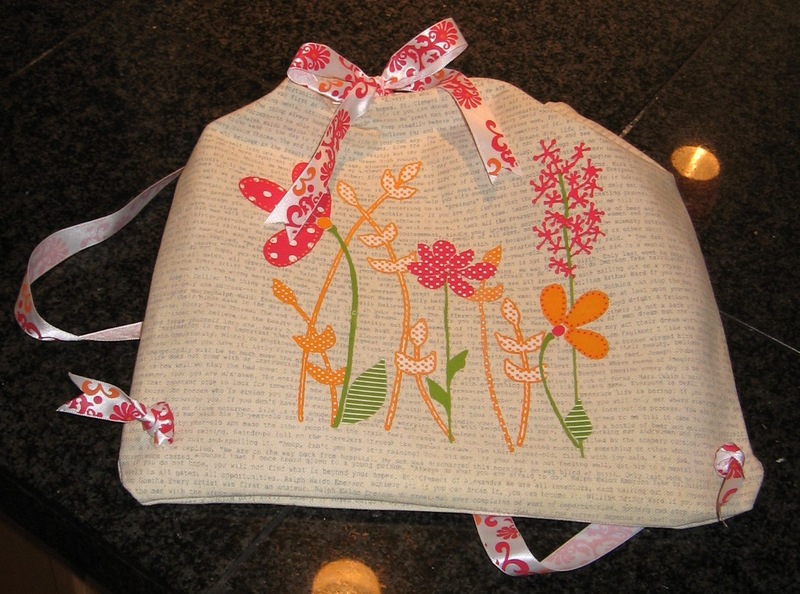 We went to the local bakery to learn to bake, she taught us all to sew, we had a fashion show….good times for sure. I wish she were here to see Mia start her journey. Mom I am sure you are watching from Heaven. Love you.